Twelve bills have been introduced in the House in order to change the lyrics from what many have argued is discriminatory language. None of these bills that sought to remove “sons” from the lyrics were able to successfully pass the House until Wednesday, however. “O Canada” became the country’s official anthem in 1980. Prime Minister Justin Trudeau also voiced his support of the proposed change after it passed the Senate Wednesday. “Mauril’s bill to make O Canada gender neutral passed third reading in the Senate tonight – another positive step towards gender equality. #inallofuscommand” Trudeau tweeted. Other Conservative senators and lawmakers, however, don’t think Canada’s Parliament should be allowed to alter a song whose words were written many years ago and whose author can have no say. Lawmakers were angry that Sen. Don Plett, who was a longtime critic of the measure, didn’t have an opportunity to speak against the motion. “When a majority of individuals decide to shut down discourse in this place, democracy dies. We need to be very wary of tools that muzzle debate,” Conservative Sen. Leo Housakos said. 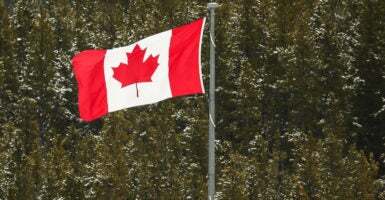 The bill to amend Canada’s national anthem will now head to Governor General Julie Payette’s desk to be signed into law. The 123rd Diocesan Convention of the Episcopal Church in Washington, D.C., also recently passed a trifecta of resolutions to replace all gendered pronouns referring to God with gender-neutral pronouns, oppose laws against illegal immigration, and open traditionally gender-restricted congregational roles and facilities, like bathrooms, to transgender individuals. Diocesan delegate Rev. Linda R. Calkins urged the diocese to consider adopting “The Inclusive Bible: The First Egalitarian Translation,” which removes all gender-specific pronouns for God from Scripture.